Did you know Chinese Restaurant Syndrome was invented in 1968? Not identified, not discovered, not researched, but yep, invented. 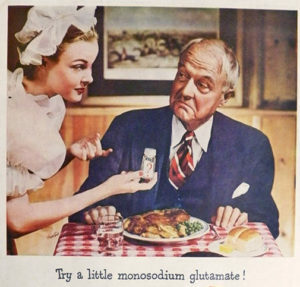 Before 1968, Americans loved monosodium glutamate. The “new” condiment was introduced to the U.S. just 30 years prior and was added to a variety of foods to enrich flavors. The American public embraced it with open arms until… Dr. Robert Ho Man Kwok wrote a speculative letter to the New England Journal of Medicine. He described some negative symptoms he experienced after eating Chinese food and he named it Chinese Restaurant Syndrome. Suddenly, MSG became almost exclusively associated with Chinese food even though for decades Americans had been consuming it as an ingredient in grocery staples like ketchup, soups, and chips and as a main ingredient in entrées at their favorite restaurants. 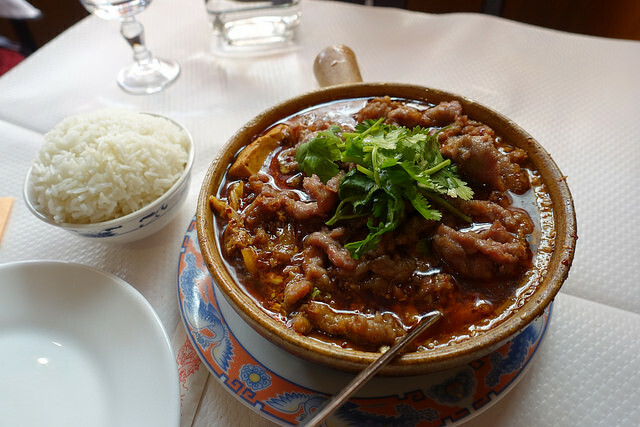 Unlike the circumstances with tobacco where research was the catalyst for lifestyle change—no research was conducted on the so-called Chinese Restaurant Syndrome until after Dr. Kwok’s letter was published. Subsequently, a few studies were released, but they were riddled with design flaws and bias such as small sample sizes, lack of blind testing and observations conducted on rats that were not reflective of how humans consume and digest foods. Dozens more accurately conducted and peer-reviewed tests were never able to confirm Dr. Kwok’s concerns. MSG has enjoyed the GRAS—“generally recognized as safe”—status with the FDA since the late 50’s. But due to the public concern as a result of Dr. Kwok’s letter, the FDA commissioned an independent review of MSG scientific research of MSG and in the 1990’s released a statement officially affirming MSG as GRAS. They’ve stood by that for over three decades. But, those regulatory decisions seemed to rarely garner as much attention as the fear-mongering “research.” Instead, self-professed nutrition gurus made up silly rules like “if you can’t pronounce it, don’t eat it.” Seriously, who can pronounce streptococcus thermophilus (bacteria used in the yogurt making process)? But that doesn’t make it unsafe or less delicious. A rose by any other name still smells sweet. A dog scientifically named canis lupus familaris is still a great companion! Okay, point made. Today, many people who still refuse to eat monosodium glutamate have no aversion – and apparently no adverse reaction — to tomatoes, corn, and parmesan cheese and still indulge in an array of foods that have naturally occurring or added glutamate. On this year of the 50th anniversary of unjust vilification, let go of your fears and try a little MSG for More Savory Goodness! Why Are Americans Still Avoiding MSG? Previous PostAre You an Umami Master? Test Your Knowledge!